So for my final day of feasting, what’s on the menu? Anyone who has been to a Renaissance Festival has likely eaten a turkey leg – as they are commonly served at such events. 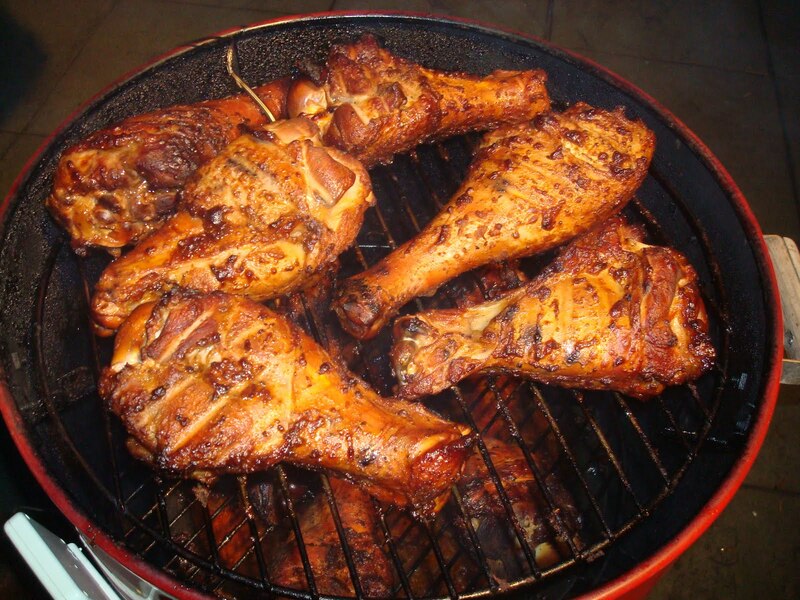 In addition, because they don’t require utensils, turkey legs can be an excellent recipe for picnics, tailgate parties, barbecues, etc. They are especially good when cooked outside on the grill, or cooked in a smoker. However, they can also be roasted in the oven if desired. Be aware that turkey legs do take time to cook. If you’re cooking them outside on the grill, you might want to consider boiling them first to shorten the amount of grilling time. Some recipes call for boiling the legs in a lemon-lime soda, such as Sprite or Seven-Up. If that doesn’t appeal to you, just use water but add some seasonings – such as onion, garlic, herbs (sage, tarragon, thyme, etc. ), salt and pepper. 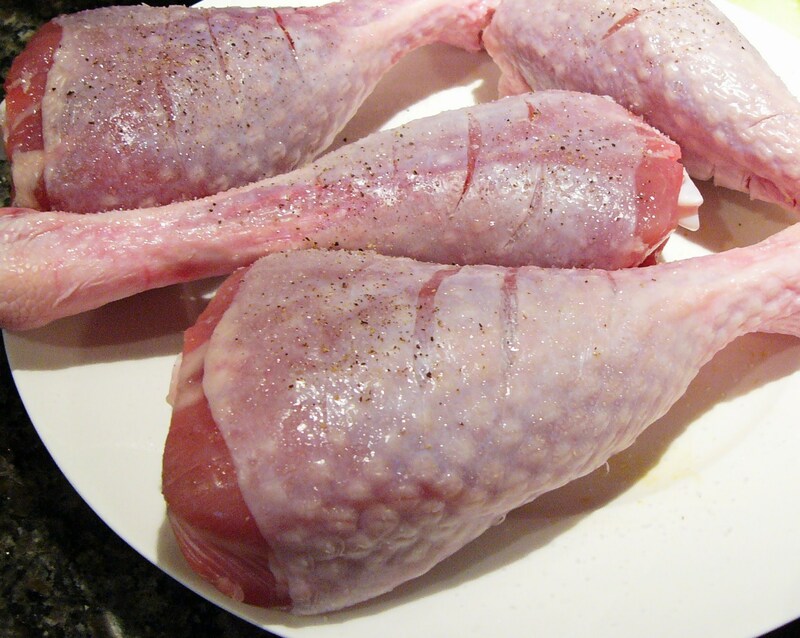 It’s also possible to fry your turkey legs in a deep fryer or use your outdoor turkey fryer (which might be easier if your legs are large.) You could even fry them up and then baste them in a buffalo wing sauce to add some kick and get spicy legs. In any case, I’m finishing off my twelve days by flashing a little leg…turkey leg, that is.